Unfortunately, due to sales rights restrictions, we cannot offer From Pusan To Panmunjon (M) for sale in your country. 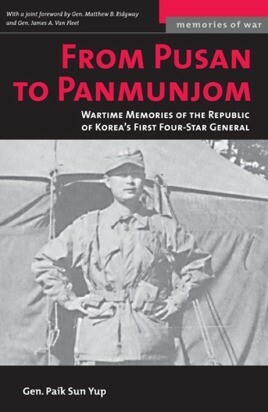 From Pusan to Panmunjom Presents a wartime memoir of the soldier who, at the age of thirty-two, became South Korea's first four-star general. This book provides a perspective to a cataclysmic war.